To put it simply, phonics is the method of teaching children to read, which focuses on the individual sounds of letters, or groups of letters, and blending them together. A word is broken down and sounded out (decoded), and then blended together to reveal what the word says. • Many words can be taught at one time in a phonic family. Here's an example of a phonic family: words that end with "at" like rat, cat, sat, etc. • Phonics equips readers with a strategy to sound out unfamiliar words. 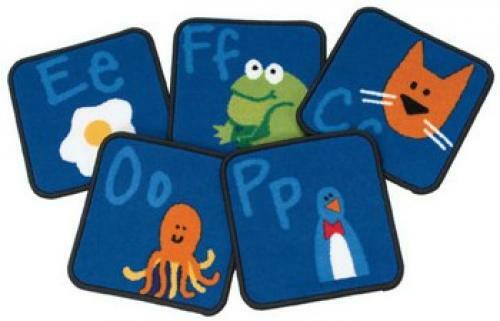 • It helps children to develop spelling skills, and cuts down on them guessing at a word when attempting to read it. Sight words are words that a reader recognises instantly. They form the basis of the whole-word approach to teaching reading. In this approach, a word is perceived as a whole unit, without analysis of its subword parts. Young readers are encouraged to recognise the whole word, rather than sound out the individual letters within the word. • Many common words in English are phonetically irregular ( eg, was, have, who), as in they don't follow regular phonics or spelling rules. There are also many homophones (words that sound the same, but have different spellings and meanings, eg sea and see) in the English language. • Sight words form some 50 to 75 percent of all words that children are likely to encounter. When a child can easily recognise half the words in a sentence, he will certainly feel more confident to attempt to read the sentence. So the ability to sight read gives a child the confidence to read on, upon opening a book. To sum up, both methods have their distinct advantages. How can they work hand in hand? When a child flips open a book and recognises over half the text, he can then get to work on decoding only the challenging words. If he needs to decode every word in a sentence, then reading becomes a frustrating task. On top of it, the child will quickly lose the meaning of the text, as the focus shifts, from the sentence as a whole, to individual words. So what is an easier strategy for teaching a young child to read? Start with sight reading. Babies as young as 9 months can be easily taught sight words. This lets the child gain access to the fascinating world of words contained in storybooks, without a protracted learning-to-read process. Only when the child has mastered the 26 letters of the alphabet, then should parents introduce the system of phonics gradually. As phonics needs to be learnt step by step, through the sounds of each letter and every blend, it will take considerable time and practice before a child is ready to apply what he has learnt to reading. With this suggested approach, the length of time required to learn phonics would not have unnecessarily delayed a child's acquisition of preliminary reading skills, nor his first introduction to interesting books. An arsenal of sight words would have allowed the child to begin reading at a much younger age, without being hampered by the more exacting demands of phonics. The true value of phonics is realised later when the young reader starts applying it to the next step of his literacy development --- writing. Perhaps this article hasn't addressed all the issues in the big argument between phonics and sight words. However, hopefully, it has shed some light on how the best of both worlds can be harnessed. It may be an exercise in futility to ask whether phonics or sight words is the superior method for teaching reading. A better option could be had by dynamically combining the strengths of both methods in the interests of our children.